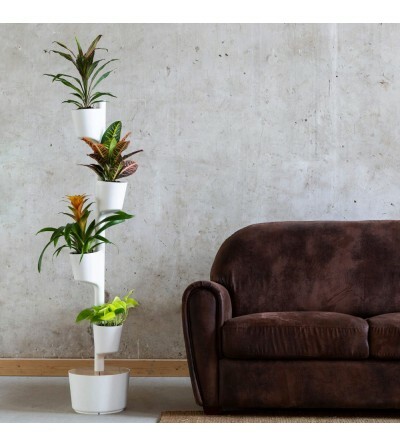 Create an original and unique vertical planter: choose the color, number of pots, watering type and even the plant family. Forget about the responsability of watering your plants. 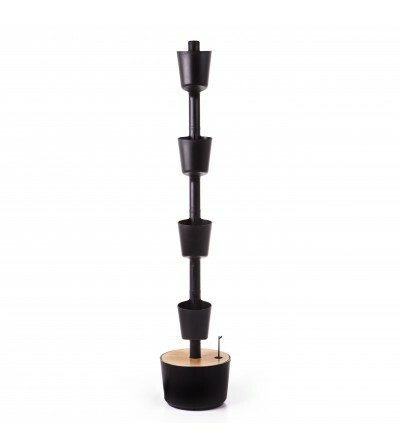 The Citysens self-watering system will water them for you - so they always look beautiful. Monitor the self-watering system from your smartphone. Technology at the service of your plants. The Citysens garden is made in Spain with recyclable and recycled materials. In addition, it saves water and energy to protect the environment. We collaborate with the Santa Teresa Foundation (Tarragona), where people with different capacities assemble the product, thus promoting their labor and social integration. The Citysens gardenis made in Spain by people with different abilities. Discover more details of how choosing this product helps to promote a more inclusive society. You will receive your Citysens garden in 24/48h with no shipping costs. Discover our catalog and enjoy more plants at home, without worries.